SPE Bangalore section organized a Social gathering at Church Street Social on 9th Feb 2018 to celebrate the success of achieving the SPE Gold Standard Award for the 8th consecutive year. The event was attended by more than 15 SPE committee members and volunteers from Shell and Wipro. The event started with an informal catchup over drinks and snacks. This was followed by a briefing on the SPE year-around events by Aditya, Sumit, Jitin and Gyanendra. During the briefing, team members discussed about their experiences in the past year, section’s way forward and acknowledged the contributions of peer members who relentlessly served their time and commitment to serve this community. The briefing session was followed by a formal announcement of our new Section Director, Jan-Willem van der Lee and Chairman, Randhir Kumar by the present SPE Bangalore Section Chairman -Peter Nilsson. The new volunteers in the team were also present who got a good opportunity to network with the existing committee members. The Section Chairman, Peter Nilsson also distributed five awards to the committee members and volunteers to appreciate the efforts made by respective individuals. The event concluded with a vote of thanks given by Peter Nilsson, Chairperson SPE Bangalore and a strong intent to make the following year even more engaging and successful. Overall the event was a great success. What are some of the benefits of attending ATCE 2333? 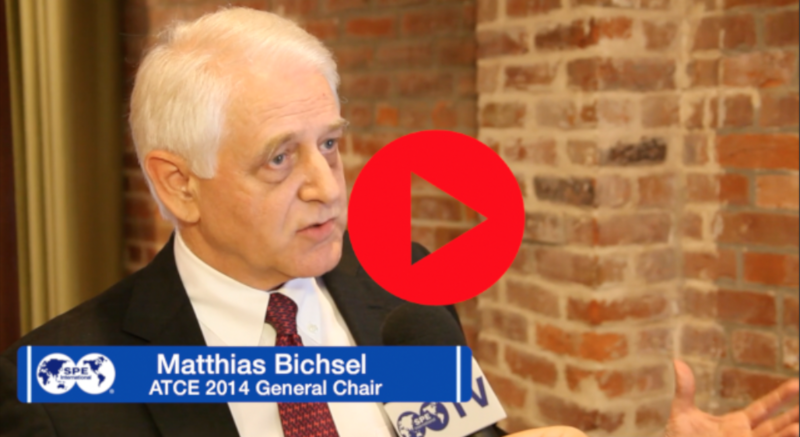 Watch this short video as ATCE 2014 General Chair, Matthias Bichsel, shares his thoughts. Numerous scholarships are available for degrees related to the energy industry worldwide. Check out the following opportunities to see details on the funds available to undergraduate and graduate students. Society for Petroleum Engineers–Bangalore Section has successfully entered in its eighth year of establishment. Section was formed on 10th October 2007 in the garden city of Bangalore. Bangalore is emerging as a hot destination for technology, manufacturing & engineering services. SPEBANGSEC is fully dedicated for the growth of professionals pursuing their careers in oil and gas sector by providing them a common platform to share experiences & to build network among SPE members. Apart from providing its members with lifelong learning opportunities SPEBANGSEC is also focused on Gen-X talent pool, which can be motivated to choose their career in this sector ensuring constant flux of younger blood in this highly sophisticated & challenging profession. Copyright © SPE Bangalore Section All rights reserved.